It can’t really be that time again already, can it? 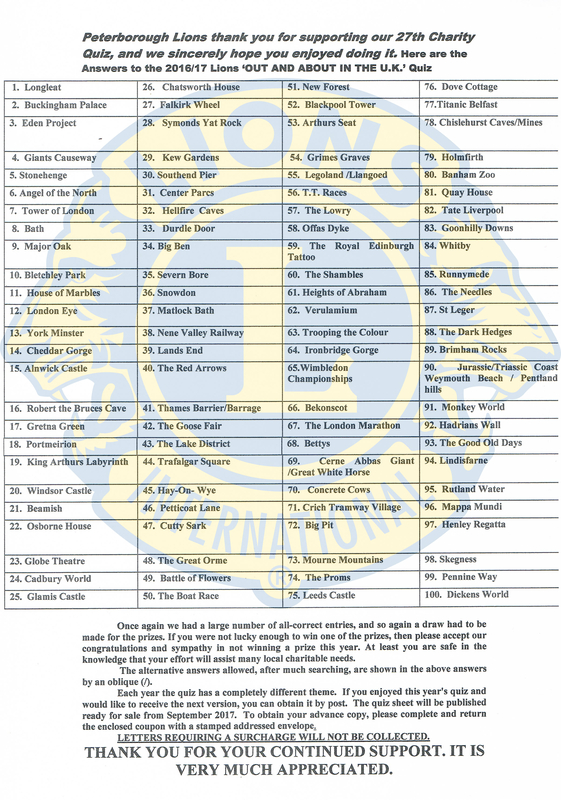 But yes, it is – the Peterborough Lions 2016 Quiz Sheets are now on sale! A highlight of the year for many people, and an chance to bang heads against the wall in frustration for others, it’s always a fantastic opportunity to test those brain cells and help us raise money for fantastic causes. As usual you’ll be able to pick up a copy from one of several local shops and charities (if you’d like to support us by selling the quiz please get in touch), or directly from us in person at one of several locations throughout the city over the next couple of months, particular when we’re out with the Carol Float nearer to Christmas – our diary will have locations and dates when they’re available. You can also buy them online (£1 postage charge applies no matter how many you buy, and we still have some from previous years available if you missed them). For 2016 we’re “Out and About in the U.K.” for our theme, with answers relating to places to visit and events to see around the United Kingdom. A sample to get you started: do you know which is the largest gothic cathedral in England? (Two word answer, 4 and 7 letters respectively.) I’ll be honest – I didn’t know the answer, but I do now as that sample is already filled in for you, so if you’re stuck you can always buy the quiz just to find out! The price is unchanged from the last few years at £1.50, and you can win prizes of up to £100! You only have until 16th January to get your answers to us, so don’t delay in hunting us down and buying one (or more). We desperately need your help in raising money for wonderful causes, including for a high performance liquid chromatography (HPLC) device for kidney cancer research, a hearing dog for a deaf child, and for Addenbrooke’s Hospital, amongst others. So massive thank-yous in advance for your support, and good luck! Better than the Grand National! A big thank you to everyone who came to our Race Night at the Eye Community Centre. With your help we raised over £800 for local charities which isn’t at all bad for a fun night out. If you missed this one, don’t worry we’ll be back, and sure to be bigger and better than ever! Update: it’s tonight! Don’t forget to come and have some fun! 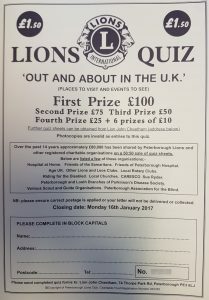 Less than a fortnight to go until the Peterborough Lions 2016 Race Night, raising all important funds for local causes. The event will be held on Saturday 19th March at Eye Community Centre, starting at 7:30pm. 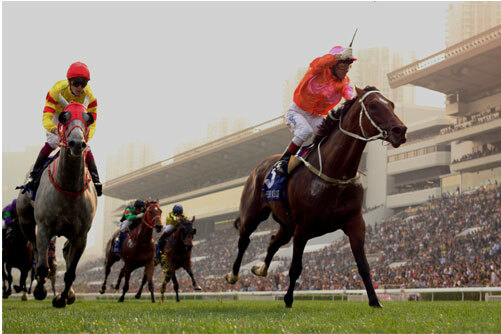 All horses and races are now sponsored – thank you to everyone who has already supported us. Everyone else can turn up on the Saturday! Please come along and help us all have a great evening and raise lots of money – there’s every chance you might even raise a few funds for yourself! Peterborough Lions are excited to invite you to our 2016 Race Night, at 7:30pm on Saturday 19th March at Eye Community Centre. This is our second year at our new (larger) venue and once again everyone is welcome to join us for a great night out. At the very least you’ll help us raise money for local causes, but if you’re lucky you might even win a little bit of cash into the bargain! General admission is £3 on the door and includes a light buffet of filled baguettes and crisps. A licensed bar will be available throughout the evening. We are also looking for Race Sponsors (£30/race, which includes a ¾ page A5 advert in the program and admission for two people) and Horse Sponsors (£8/horse, includes admission for one person and a chance to win the winner’s prize). For more information please contact Lion Dianne Parkin or Lion Bill Peacock or use our contact form. On Sunday 22nd November, Farooq Mohammed (owner of Maharanis restaurant in Hampton) was awarded a Melvin Jones Fellowship in recognition of his support of charities in and around Peterborough. 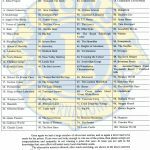 The Melvin Jones Fellowship is named after Lions Clubs’ founder, and is the highest honour awarded by Lions International. It is presented only to those who reflect Lions’ commitment to humanitarian work and is not given lightly. 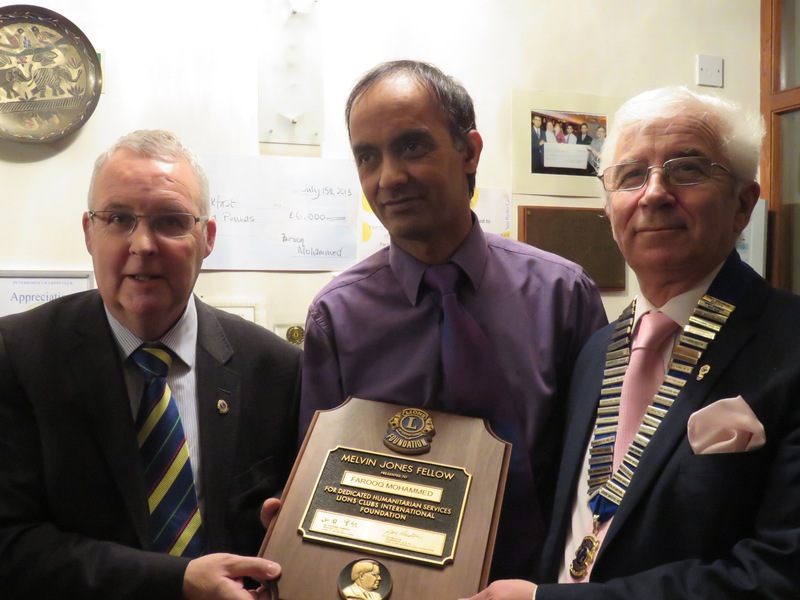 The award was made by Peterborough Lion Club President Bill Peacock and Club Secretary David Pope following a fundraising curry evening hosted by Farooq which raised well in excess of £600. 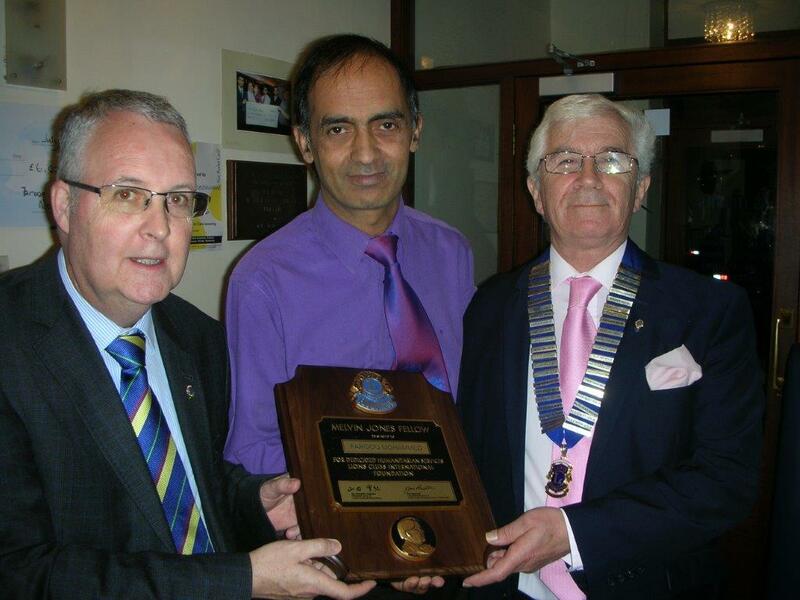 Farooq has supported Peterborough Lions on many previous occasions and more than £10,000 has been raised as a result, contributing to a wide range of causes supported by the club. However the award also recognises the support given to other local charities. 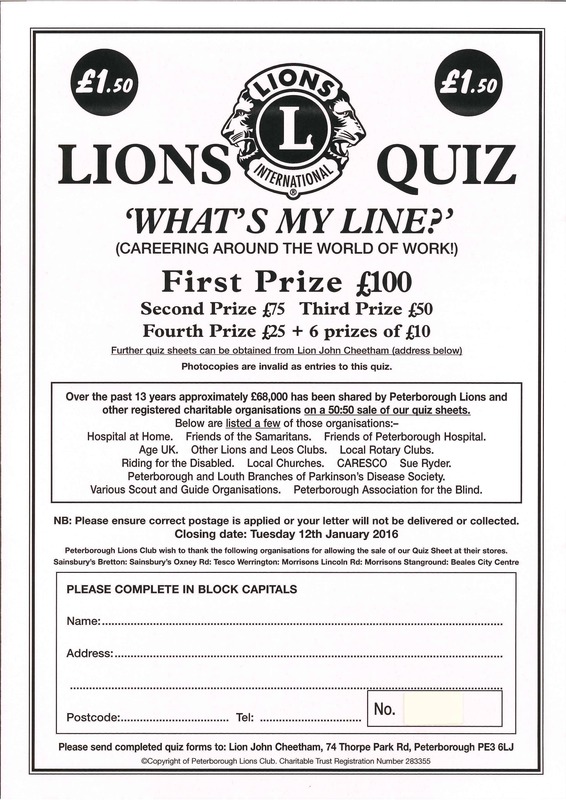 Christmas is fast approaching, which can only mean one thing: 2015’s Peterborough Lions Quiz is here! As usual you’ll be able to pick up a copy from one of several local shops and charities (if you’d like to support us by selling the quiz please get in touch), or directly from us in person at one of several locations throughout the city over the next couple of months – check out our diary for locations and dates. You can also buy them online (£1 postage charge applies no matter how many you buy, and we still have some from previous years available if you missed them). This year the theme is “What’s My Line? (Careering around the world of work)”, so if you know your accountants from your bookkeepers you should have an advantage – but if you don’t, not to worry because as always the connection to the topic is pretty loose, and as usual it’s all a bit of fun. To get you started, try a sample question: “Mail male” (answer is 7 letters). 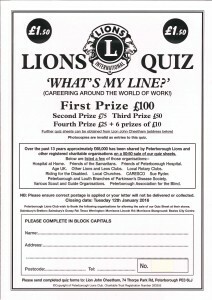 For those of us who have been around a while this might not come as a surprise, but can you believe that the Peterborough Lions Quiz has been going over 25 years? Peterborough Lions are excited to invite you to our 2015 Race Night, at 7:30pm on Saturday 20th June at Eye Community Centre. Those who attended last year will recall that we were packed out so this year we’ve moved to our new venue in Eye. Everyone is welcome and is sure of a great night out, and if you’re lucky you might even win a little bit of cash into the bargain! We are looking for Race Sponsors (£30/race, which include a 3/4 page A5 advert in the program and admission for two people) and Horse Sponsors (£8/horse, includes admission for one person and a chance to win the winner’s prize). General admission is £3 on the door and includes a light buffet. A licensed bar will be available throughout the evening. This year’s Race Night is being run as a memorial to Lion John Clarkson who sadly passed away late last year. Lion John was a very active member of our club, a key organiser of main fundraisers like our annual Carol Float, and someone who would have been heavily involved in this Race Night were he still with us. It would be fantastic if we could make this our biggest and best Race Night ever! For more information please contact Lion Bill Peacock or use our contact form. Once again, a huge thank you to everyone who bought our 2014 quiz – another fantastic success and a credit to everyone who took part. Amongst the beneficiaries are 48 local charities and non-profit organisations who sold quiz leaflets on a 50:50 share basis. As always it’s great to see winners from outside Peterborough – thank you to everyone who returned entries and kept our markers busy! So that’s it for the 2014 quiz! Take the next six months off to relax and prepare yourself for the 2015 quiz, available from September. All the members of Peterborough Lions Club would like to say a huge thank you to the people of Peterborough. You very kindly made generous donations to our happy collectors at each of our Christmas Carol Float venues. We managed to raise just over £3000 in total! This money will go to help lots of varying causes throughout Peterborough and enable us to continue our support for groups and individuals alike. Our main cause this year is Peterborough Association for The Blind. We would also like to thank the people who came to help us from other worthy groups and charities. The money raised is also a fitting tribute to John Clarkson who sadly died before Christmas and who had worked so hard on getting the Carol Float ready for another year.